Winchester City Hall is located at 7 South High Street, Winchester, TN 37398; phone: 931-967-2532. Photo: Hundred Oaks, ca. 1892, Oak Street, Winchester, TN. Listed on the National Register of Historic Places in 1994. Photographed by Jack E. Boucher, 1983, Historic American Buildings Survey [HABS TN-221], memory.loc.gov, accessed December, 2014. Winchester is located in Middle Tennessee, about 90 miles south of Nashville and 70 miles west of Chattanooga, TN and 45 miles northeast of Huntsville, Alabama with a population of 8,530 (2010 Census). Winchester was established as the county seat of Franklin County in 1809. The city was named in honor of General James Winchester, a soldier in the American Revolution, first Speaker of Tennessee Legislature, and a Brigadier General in the War of 1812. Winchester, which became known as the "only town of any importance" along the stagecoach road extending from Nashville to settlements in East Tennessee, was incorporated as a town on August 20, 1822. Through this act of incorporation, the municipal council was given the power to enact those ordinances necessary to govern the town. In 1835, the General Assembly authorized the mayor and alderman "to lay out the town into four wards and to provide for the election of a constable and two aldermen in each ward". By 1833, the town of Winchester had grown to a population of seven hundred people and offered a diversity of opportunity for its citizens. As early as 1830, there were known to be three hotels, as well as a diverse business, professional, and religious base in the town of Winchester. An early study of the period revealed seven lawyers, four doctors, one Methodist church, one Baptist church, one Presbyterian church, one academy for boys, and one for girls. There were eleven stores, four taverns, six carpenters, four cabinetmakers, four bricklayers, two hatters, twelve tailors, four shoemakers, fourteen blacksmiths, one silversmith, three carriage and wagon makers' shops, one coppersmith, two painters, two tanning yards, two saddlers' shops, and three groceries. Since it was first settled, Winchester has had a business and professional community that is highly diversified. The first merchant was Thomas Wiggins, who sold a variety of goods out of a log cabin. Daniel Eanes and his son opened the first saloon in 1810 and by 1820, Winchester had three doctors. Winchester's first buildings were located on the bluff overlooking Boiling Fork Creek. In 1811, there were several buildings constructed on the south side of the present square, and by 1830, the Ballard House opened its doors as a hotel. Between 1810 and 1840, commerce and the mercantile community grew steadily; however, it was the 1850's that proved to be a time of prosperity in Winchester. In part, the prosperity that Winchester enjoyed was due to the area's status as a leading cotton producer, the presence of Carrick Academy, Mary Sharp College, and the Winchester and Alabama Railroad, which ran through Winchester. The Civil War halted the commercial growth of Winchester until the early 1890's, at which time the town began to regain its commercial strength. It was during this period that Winchester began to flourish again, largely due to the introduction of the nursery industry. One early newspaper account written as early as 1925 observes that more trees, shrubs, and roses have gone out of Winchester to make the South more beautiful than any other town below the Ohio River. By 1890, Winchester had a population of twenty-five hundred, two banks, two factories, two sawmills, one large commercial flouring mill, marble works, and "many industrial establishments of lessor note." It should be noted that during this period Franklin County had the oldest commercial club in Middle Tennessee, outside of Nashville. Similar to today's Chamber of Commerce, the commercial club's purpose was to induce businesses and people to settle in the community. Winchester's commercial pinnacle was reached in the years between 1890 and 1930. This era revealed the opening, closing, and re-opening of many businesses on the square, and the construction of new commercial buildings, causing the eventual saturation of the local market. It was during this period that the merchants began to use the local newspaper, The Franklin Truth, to advertise their goods. Winchester, like many other American cities, has had its periods of prosperity and recession. Winchester was able to rebound from periods of recession, in large part, due to the town's active and imaginative citizens who had a vision and were willing to take necessary risks to see their town prosper once again. It was around the turn of the century when Winchester was introduced to the Tourism Industry. It was then that Winchester promoted the healing powers of the "cure all" mineral water springs that were abundant in the area. Visitors from throughout the world vacationed at these well- publicized healing mineral springs. Today, Winchester's citizens still realize the potential benefit from tourism, as they host many special events throughout each year and readily welcome all to their little town to "Discover More By The Lakeshore!" Winchester idealizes the Old South with its beauty and southern hospitality. It also embraces today's south that emphasizes leadership with a vision for the future. 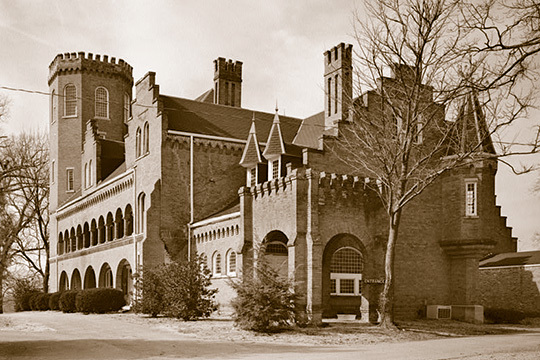 If it had not been for the vision of its citizens, the "Town of Winchester" would not have achieved such significance as the site of an early co- educational school and as the site of the first female college in the nation to require Latin and Greek for its graduates. Winchester further became known as a center of the southern nursery industry, as well as, having four of its citizens elected as governors of the State of Tennessee. Winchester can again have a flourishing business and economic community, if its citizens are willing to recapture the vision of those early settlers and entrepreneurs in the late 19th century. City of Winchester, TN, Winchester Downtown Master Plan, 2011, www.winchester-tn.com, accessed December, 2014.